Here’s a quick overview of some of the must-see, do, eat and drink experiences around the neighborhood at the Historic Seaport Key West. There’s no better place to start your day than to grab a cup of coffee right around the corner at Cuban Coffee Queen. You can’t miss it because it’s what we call our live postcard from paradise where you’ll see “Greetings from Key West.” Here’s where you’ll find a crowd waiting in line to grab a coffee, café con leche, sandwich or whatever your go to eat and drink is - walk up to the window, order and go head over to a bench at the bight and enjoy the view of the marina. Now that you’ve got your coffee, it’s time to get out on the water and plan a morning, afternoon or full day at sea and enjoy our underwater playground: snorkel, diving, fishing, dolphin watching, kayak, sailing and more. Take time to visit with our concierge upon arrival to help plan your adventures at sea. You will see everything you want to do is within reach of our resort. View the Nearby Activities. Dining Options at the Seaport: If you're looking for great seafood, views and an authentic Key West experience then we’ve got you covered. 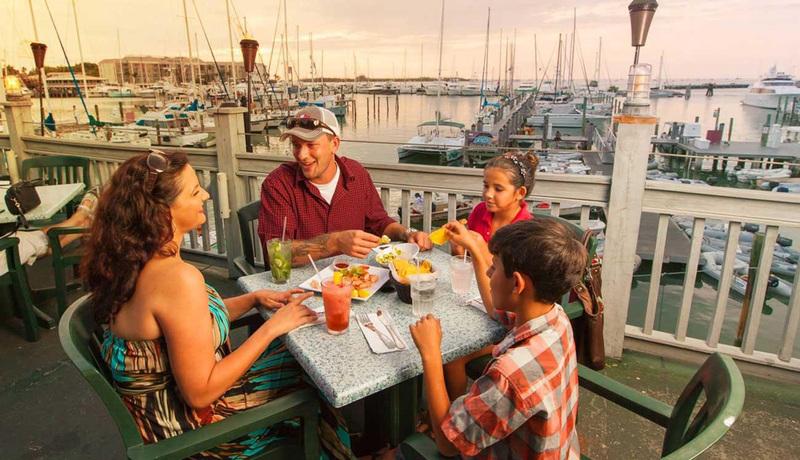 Here are some of our foodie favorites with dockside views and a taste of Key West: Schooner Wharf Bar, Half Shell Raw Bar and Turtle Kraals, Conch Republic Seafood, Alonzo’s, Commodore and one of the newest to the neighborhood is the Waterfront Brewery. In addition we also recommend Pepe’s, B.O.’s Fish Wagon and Harpoon Harry’s, all three located on Caroline Street, near the resort. Key Lime Pie! Make sure to save room for dessert and a visit to Kermit’s Key West Key Lime Pie Shop. You might even see him standing out on the street waving hello and sharing his love for Key Lime Pie with you. Local Artists and colorful shops decorate the seaside harborwalk so take your time to visit one of our unique gift shops, galleries and boutiques that offer original artwork, clothing, jewelry, trinkets and tees, fishing gear and more. Here are a few of our favorites: Aer Photography & Art Gallery, Local Color, Dragonfly Key West, Mac’s Sea Garden, Stingray Steve, Key West Bait & Tackle. Happy Shopping! 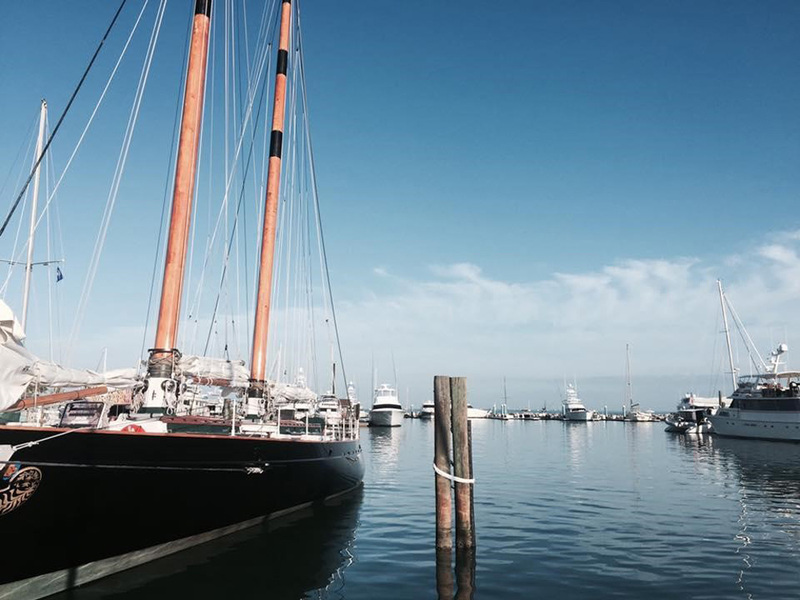 Visit Key West Historic Seaport online to learn more.